Animal Wildlife | Monkey | Monkeys are found naturally in the jungles and forests of the Southern Hemisphere.There are two ways to classify a monkey,the old world monkey (Asia and Africa) and the new world monkey (South America).There are around 260 known species of monkey worldwide ranging from chimpanzees to the tiny pygmy marmoset.The monkey can be anywhere from just a few centimetres tall,with some species of monkey growing to more than a metre tall. 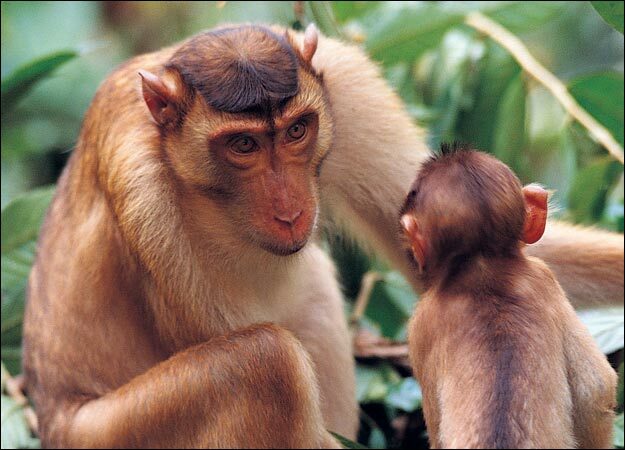 A monkey will mainly eat foliage, nuts, fruit, berries, insects, with the bigger species of monkey hunting small birds and mammals. 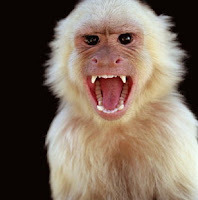 Funnily enough monkeys never eat a banana as it is and instead they peel it first and throw away the peel. Although both the New World monkeys and Old World monkeys have forward facing eyes, the faces of Old World monkeys and New World monkeys look very different, though again, each group shares some features such as the types of noses, cheeks and rumps. When a monkey yawns it apparently means that either the monkey is tired or the monkey is angry about something. Howler monkeys are the loudest species of monkey with the howler monkeys howl being heard as far as 10 miles away. 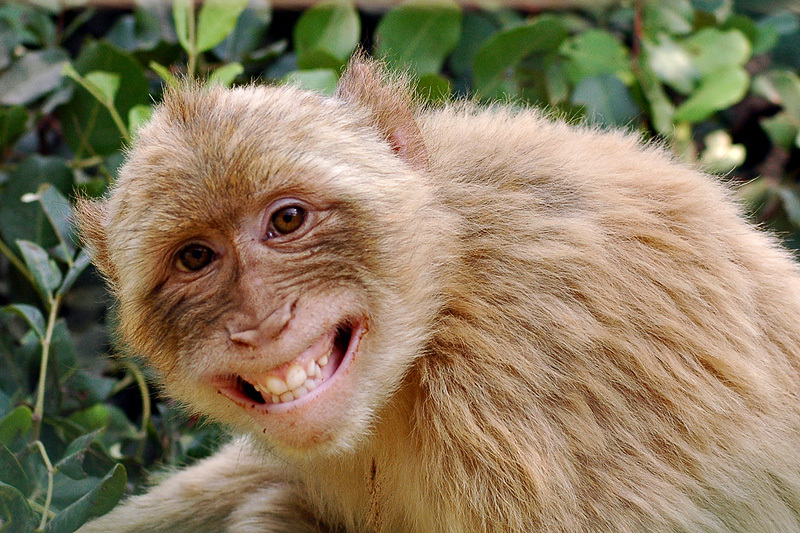 Monkeys use different noises, facial expressions and body movements to communicate with one another, with the monkey grinning being a sign of aggression. 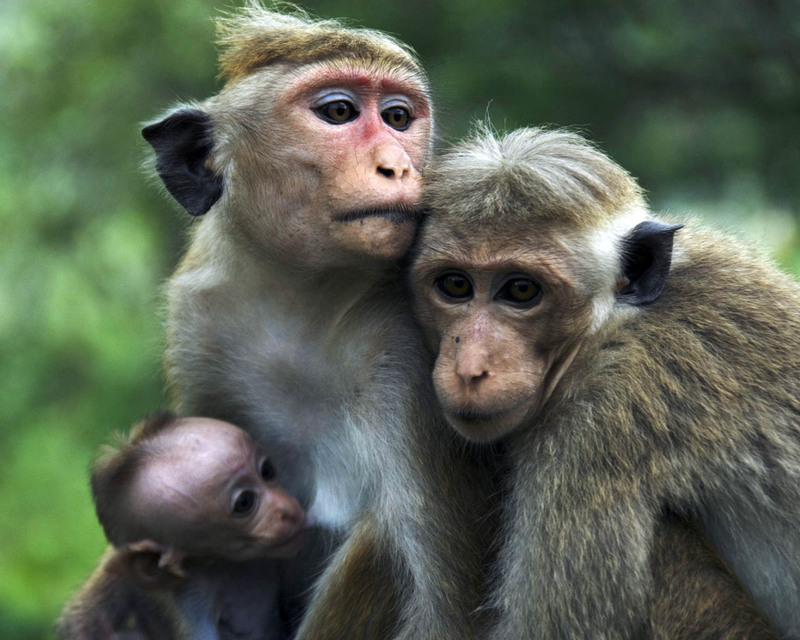 However, monkeys express affection and make peace with others by grooming each other. Nice and good photos with interesting stuff..